A version of this article was also printed on September 5, 2015 at LifeHealthPro. To stop insurers from underwriting plans with restrictions against new, sick, uninsured members. Yes, I remember the second stated goal was to rein in costs, but even many of the law’s staunchest supporters have abandoned that mantra as it is clear PPACA is going to cost far more than it purports to save. At passage Obamacare was slated to cost just under a trillion dollars over the first decade. In the Congressional Budget Office’s (CBO’s) June projection, that cost is now set to be $1.4 trillion. As for the first goal, the June CBO report also stated that the law will only make a minor dent in the nation’s uninsured population. There were 45 million uninsured when PPACA passed and after ten years under the law, we’ll still have 31 million uninsured. Well, at least supporters of PPACA’s 2,500 statutory pages and additional 30,000 to 40,000 pages of regulations can point to the fact that insurers may no longer turn away potential customers. Even the sickest among us who show up after they have been diagnosed with a devastating illness won’t be denied care. And on its face, that is true. But again, our country’s infatuation with the elimination of all consequences for individual decision-making has simply added confusion, complexity and deep market distortions to an already overly complicated industry. Insurers are not sitting back with open arms and welcoming all of the poorest, sickest and most costly patients. Instead, we are now in a brave new world of rationing, restriction, and manipulation in order to nudge the worst risk among us to choose the other insurer’s plan. The below is an overview of the allowable ways insurers can restrict sick folks from flocking to their plans under PPACA. Nothing in Obamacare keeps an insurer from reducing its costs by eliminating the top 10, 20 or even 50 percent of most expensive doctors from its network. In California, we have seen nearly every insurer implement this strategy at some level both in and out of the Exchanges. In fact, insurers are now being sued by consumers who claim that they have been denied the right to healthcare by the insurer’s severe restriction of available doctors. Contracting with fewer doctors than your competitor presents two economic advantages to an insurer. First and most obviously, you reduce the cost of your medical service team by eliminating, for example, the top third of most expensive doctors. Secondly, less doctors means longer wait times and the customers most likely to put up with longer wait times are the healthiest ones that never need to go to the doctor anyway. Intensive plan users don’t put up with excessive wait times because they can't. Healthcare policy expert, Doctor John Goodman has written extensively on this principle of 'rationing by waiting'. 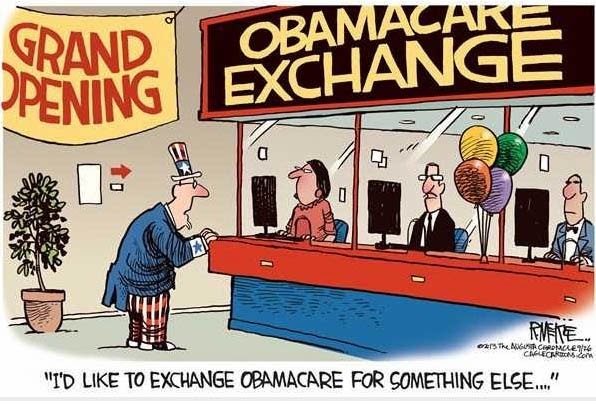 Another very simple way to keep costs down and ensure that the very sickest Americans don’t sign up for your plan is to remove or greatly curtail access to costly centers of excellence. High end treatment centers for cancer, transplants and dialysis represent a massive portion of any group’s medical claims. By removing those places from your network an insurer creates a poignant disincentive for the sick to enroll. For the limited number of high costs specialists that are available the insurer can further restrain utilization by checkering the process for care with a litany of required referrals, second opinions, and tests before treatment can begin. Insurers and self-funded employers are also getting in on the action by taking advantage of the industry’s favorite new buzzword: wellness. Wellness means many things in the benefit world. Information-only programs (the overwhelming majority of them) don’t work, waste time, but allow the touchy-feely crew to feel good - as if they’ve accomplished something. Wellness that can work, however, comes with a carrot or a stick. From an insurer’s standpoint, offering robust health and wellness perks such as discounts on gym memberships, for example, attract the right kind of clientele: the already healthy ones. On the flip side, we are seeing growth in the brand of wellness that comes with corporate spankings from momma and poppa employer. Most often administered by self-funded health plans, these programs charge employees an extra $50, $100 or more for their health insurance if they are not keeping weight down, alcohol away and tobacco out of their lives. It now looks, however, like some of these spankings have become ruthless enough that the grandma and grandpa federal agencies are about to put a stop to them. Over the last decade, prescription drugs have represented one of the fastest growing costs for all health plans. In Obamacare’s new school of rationing, plans have begun to add additional deductibles onto, for example, brand name prescriptions. Plans that wish to go further implement what we call generic-only plans that limit a patient’s choice solely to generic drug coverage unless there is absolutely no generic drug available for the treatment required. Plans with these restrictions attract younger, healthier enrollees while pushing the costly folks who need specialty autoimmune or hemophilia medication to seek out plans with more robust prescription benefits. PPACA limits what an insurance company can keep for all overhead (rent, payroll, utilities, other expenses and profit) to 15% or 20% depending on the size of the insured group. Stated alternatively, an insurer in California’s large group (over 50 employee) insurance market must pay 85 cents of every dollar on medical claims for its insured and can then keep 15 cents for itself. If the insurer miscalculates and ends up with 16%, it must rebate 1% back to all of its policy holders in the state. Out of that 15% also comes customer training and fraud prevention. So guess what we now get less of? Virtually all insurance fraud shows up as claims anyway. So if an insurer becomes less vigilant about fraud and abuse monitoring, claims elevate. When claims elevate, insurers can charge a higher premium and the 15% they are allowed to keep also grows. The disincentive here is truly disturbing. But it is a classic example of an unintended consequence of price controls in a quasi-free market. 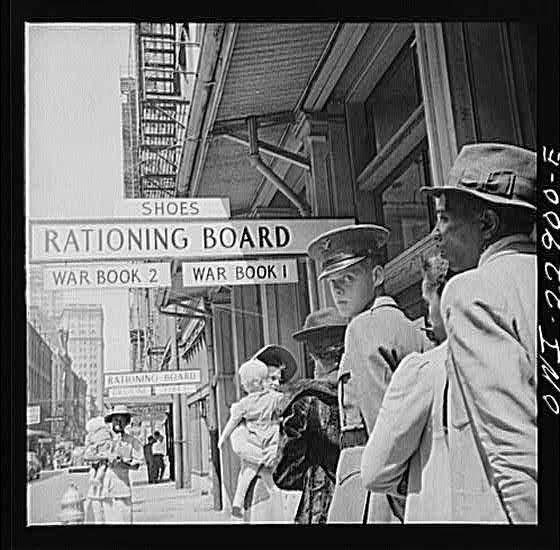 Rationing has always existed in healthcare in one form or another and it always will. All of the techniques described in this article existed before Obamacare. But Obamacare’s simultaneous removal of pre-existing limitations and mandate for robust, comprehensive coverage forced insurers to ratchet the rationing up and move it into the shadows where it will metastasize into all of our healthplans.